Dr. Karen Alter, Professor in the Department of Political Science at Northwestern University, will speak on the Do Ethical Considerations Matter in International Relations? When teaching students about ethics and international affairs, Dr. Alter argues that most people want see themselves as ethical. Indeed we consider a person who cares nothing at all for ethics to be afflicted with a sociopathic disorder. This desire to either be ethical, or to be perceived as ethical, is why ethics matters in international affairs. Said differently, because people want to be ethical, politicians must defend their actions as ethical. Yet there is, of course, a distinction between being ethical, and being seen as ethical. This conundrum is increasingly important today when we have a president who seems to care little for ethics. This talk will contrast Machiavellian ethics, where the goal is merely to appear ethical, with Kantian ethics where people are presumed to be capable of seeing through the pretense of appearing ethical. The fundamental question is not whether a charismatic leader can get away with behaving unethically, but rather whether the arc of history bends towards ethical behavior. Dr. Alter is also a permanent visiting professor at the iCourts Center for Excellence, University of Copenhagen Faculty of Law, and the co-director of Research Group on Global Capitalism and Law at the Buffett Institute at Northwestern University. Alter’s expertise concerns global and regional judicialization of international relations, with a particular focus on international adjudication. She is author of the award-winning book The New Terrain of International Law: Courts, Politics, Rights (Princeton University Press, 2014). 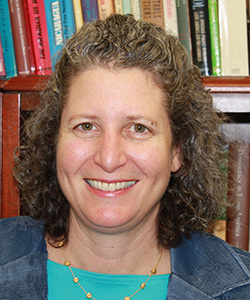 Dr. Alter serves on the editorial boards of the American Journal of International Law, International Studies Review, Journal of International Dispute Settlement, and International Organization, and she is a member of the Council of Foreign Relations. She received her Ph.D. from MIT. Out guest pianist will again be Andy Bossov. Andy has played the piano since he was four years old.